The American College Theatre Festival in Lincoln, Neb. 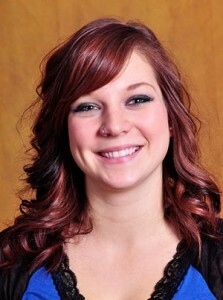 awarded Ashley Kramer, BSC Graphic Design and Communications Sophomore, a Certificate of Merit for Achievement. Her poster for “Dancing at Lughnasa” was chosen by an ACTF adjudicator for its outstanding design. The poster was a collaborative effort between the Graphic Design and Communications Program and BSC’s Theater Arts Department. The freshmen Graphic Design and Communications students were handed a creative task – create an image that describes yourself and also reflects a design movement. Students had to work to add dimension to the pieces as well and knew ahead of time that they would be hung in the display case. This project forced the students to work with many physical tools as well as digital tools. 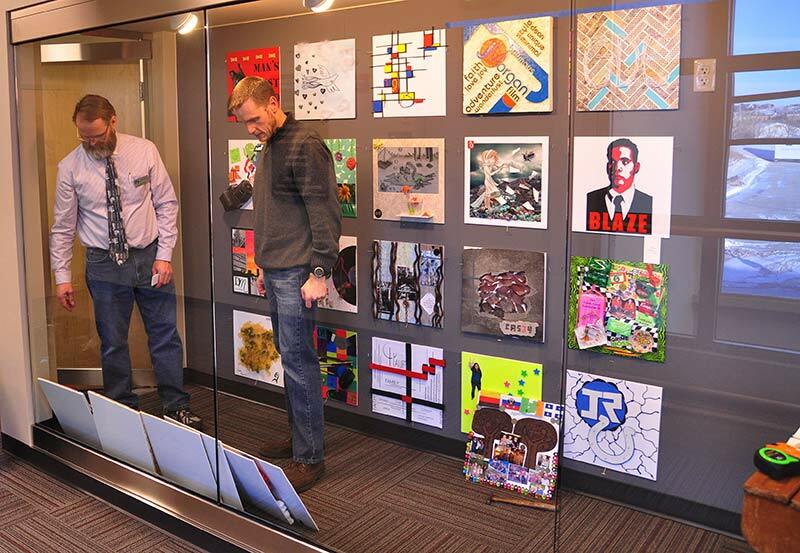 The results of the project are displayed on the 3rd floor of the Career Academy – stop by and take a look. Lindsey Hefta, Kimberly Schmitz and Tiahna Wagner cut and glue to finish their descriptive pieces. 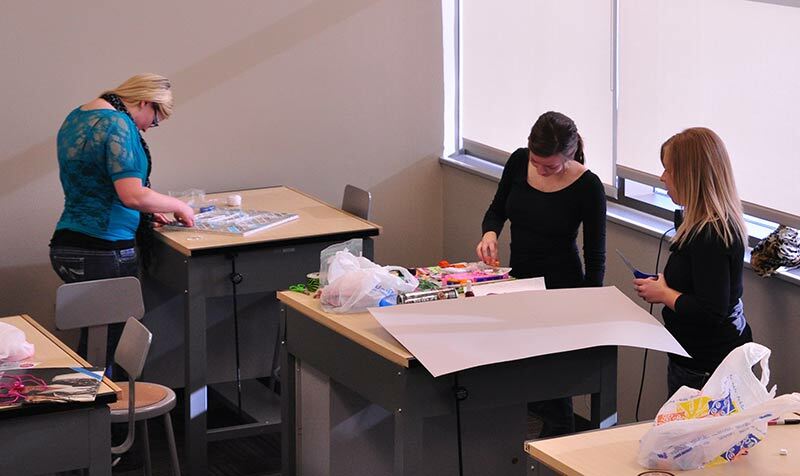 Sean Thorenson helps Katie Haas while Deserae Moser finishes up her project. 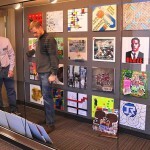 Tom Marple and Sean Thorenson assemble hang student work.